Join us on a visit to "Feeding the Empire," an exhibition at Ara Pacis Museum (closing on November 15th, 2015). 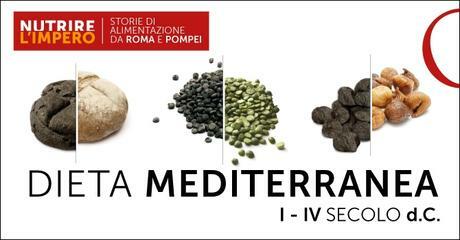 As part of Rome's role in supporting Milan's food-themed EXPO 2015, the Roman show looks at food production, supply and consumption in Rome and Pompeii, Herculaneum and Oplontis, including virtual reconstructions of some of the most recent excavations of the docks at Portus, the satellite port city which eclipsed bustling Ostia and is now being rediscovered. Its themes include the social aspects of food consumption, the gradual changes in production and distribution, and the hard choices facing Emperors towards the end of the Roman Empire to ensure food security for the Roman people. There will be a related and follow-up walking tour called "The Empire’s Crumbs: feeding what was left of the Empire" on October 18th. Time & Meeting point: Rocca Snack Bar on via Tomacelli at 9:45 (for coffee), ready to start off at 10 a.m. sharp. Cost: €10 for CCR members, €15 non members for the guided tour, plus exhibition (only) admission: regular €11, reduced admission of €9 for art students with ID, Rome residents with Carta d'Identità, metrebus (Rome transport pass) and other categories (check Ara Pacis website and here). Please bring exact change, as this will greatly facilitate the process for everyone. RVSP required by Thursday, Sept. 24th: ATTN Peter at canadarome@gmail.com. You are financially responsible for your reservation.